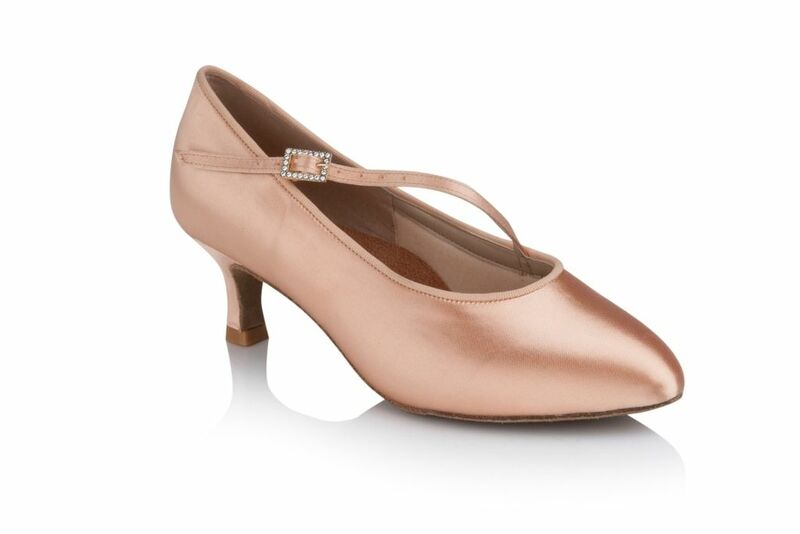 The Freed Clara Ballroom shoe is a popular choice in our Ladies’s Ballroom range at Duo Dance London. This is a classic and traditional Standard Ballroom shoe in Freed’s beautiful flesh satin with a diagonal strap for a secure fit and added style. The Clara comes with a 2″ heel so suitable for those dancers wanting a lower heel. The Freed Clara is a perfect shoe for both the Professional and social dancer and suitable for Competitions and Medal Examinations. The Clara Ballroom Shoe is a round toed court shoe. 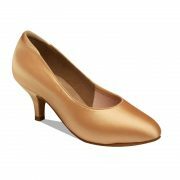 It is a regular fit only but due to it’s rounded shape, it is a popular choice at Duo Dance with our customers who have slightly wider feet. There is a diagonal strap fastening across the foot. The Freed Clara comes with a 2″ flared heel and in UK sizes 3 – 8 including half sizes. Diagonal strap for a secure, comfortable fit. Freed of London Flare Heel Protectors.